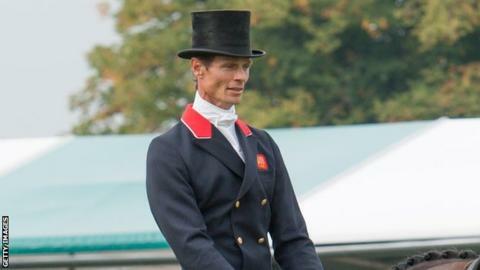 World number one William Fox-Pitt failed to defend his Kentucky Three Day Event title after finishing fourth. Fox-Pitt, part of GB's silver-winning team at London 2012, recorded a clear showjumping round on the final day. But his final score of 46.9 penalties on Bay My Hero fell short of German leader Michael Jung's 39.3. Jung, the current Olympic and European individual champion, rode Fischerrocana FST to first and also came third on La Biosthetique-Sam FBW. North Yorkshire rider Nicola Wilson delivered a promising performance on Annie Clover to finish eighth.